Properties listed here in Michigan may include ads from for sale by owner acreages, homes, land, vacant lots, commercial properties & more by motivated sellers. Any type of real estate advertisements including houses, businesses, ranches, hunting and fishing properties, country homes, estates, luxury properties, commercial buildings, residential lots and large acreages. 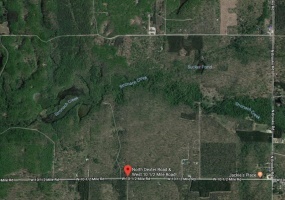 2.19 Acres of Land for Sale in Lake Ann, Michigan.Nice property in a great location and ready to build a custom home on! 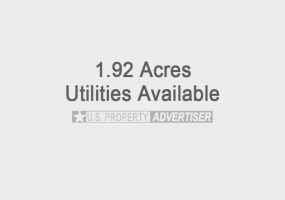 2.19 acres of land with plenty of trees and utilities available. Located on Lake Ann Rd (Co Hwy 665) just minutes from Grand Traverse Bay.Buyer covers closing.Contact Steven Tiernan at 248-431-8028. 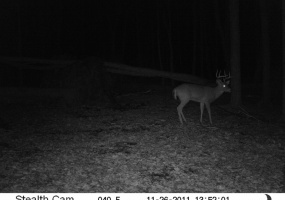 Acreage for Sale by Owner in Irons, Michigan25 acres of beautifully wooded property available in Irons, MI for sale. Plenty of deer and wildlife. Perfect to build a new cabin on. Stronach Creek runs through the middle of the land. 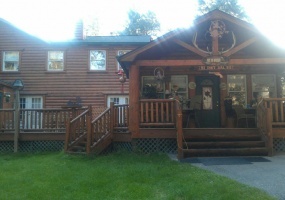 This property is in a great location for hunting, fishing, snowmobiling and more. Close access to many lakes and it borders 300 acres of state land. 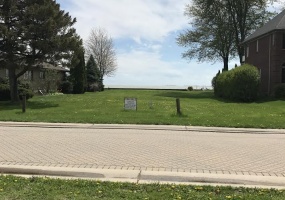 Vacant Lot for Sale in Ray Township, Michigan By OwnerOne acre lot located on North Avenue and 29 Mile Rd. Nice property in a good location. Perc tested. Well water recommended. All blue prints ready to submit to the county for the septic to be approved.Parcel Number: 05-36-300-014Contact Arthur Tucker at 406-363-0435 for more information. 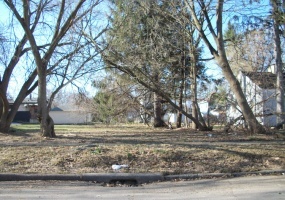 Grand Rapids, Michigan Vacant Lots for SaleTwo lots, side by side, available for sale in Grand Rapids, MI. These are residential lots located on SE Crawford St. Nice lots to build a home or to purchase as investment property.Each are .077 acres in size totaling .154 acres.Buyer Covers Closing.Contact Pamela Lewin at 352-629-7100. 5 Plus Acre Property with Beautiful Home for Sale in Milford Michigan 7000 ACRES of state land behind house. Beautiful 3,600 square foot rebuild in 2005 with log siding. Has 4-5 bedrooms, 3 full baths, carpeting, wood and tile floors. Also has 2 big great rooms, wine cellar with electric fire place and a gas fireplace in one great room and electric in other. Chesterfield Township, Michigan Residential Lots for SaleBeautiful property that is ready for a new custom home on Lake St. Clair. One property is a 60'x300' lake lot and the second lot is a 60'x30' canal lot with a boathouse that will accommodate a 50 foot boat. Located on Harbor Drive near Jefferson Ave. Great area to live in with excellent schools and golf courses close by. Lansing Michigan Property for SaleNice open ranch home for sale on 2 acres of land. 1168 sq. ft, first floor laundry and 2 car unattached garage. Great location and just a brisk walk through the woods to Grand River. House has been used as an investment property for 20+ years. Includes transferable lifetime basement warranty.Ready for new owner and immediate move in. 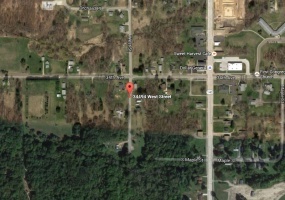 Large Vacant Lot for Sale in Covert, Michigan on West St. 1.66 acres in size. Great location close to a school and fire department; walking distance to church, stores and a cafe.Perfect to build a custom home on.Contact Joseph Johnson at 773-617-9217. 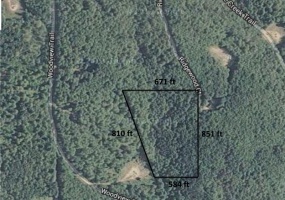 Very nice 5 acre wooded land for sale in Maple City, MI. This property is buildable and has all utilities available. Beautiful area, secluded and private. Close to lakes and City/State Forest Areas. 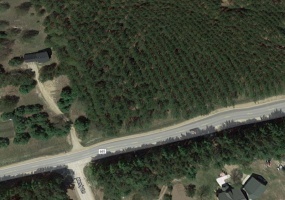 3, five acre parcels of land for sale in Gaylord, MI. These lots are all wooded with private lake access. Electricity, natural gas and cable available, private road off of a county maintained road. Located on Schuss Ln. Priced at $17,000 each. Contact Steve Kuenner at 810-824-8405. 1.92 acres of land for sale in Sterling Heights, MI. Property is zoned Two Story Multi-Family. Utilities available include gas, water, electric, sewer and storm drain lines. South of Canal Road, West of Van Dyke expressway, East of Kings Gate Apartments. 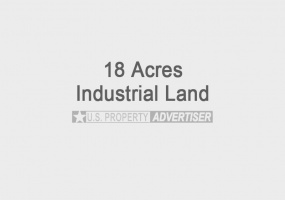 18 Acres of industriall land for sale on Taylor Rd. in Auburn Hills, MI. Prime location, approximately 5 acres of the property is buildable. All utilities available including gas, electric, water, sewer and storm lines. Tax ID: 14-03-376-024 Wetland survey is complete and available for inspection. 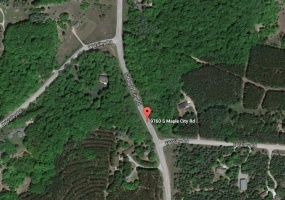 20 acres of land for sale on Black Creek Rd. in the middle of the Hiawatha National Forest. 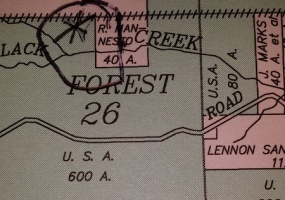 Property has 2 flowing wells and Black Creek runs through the middle. It has a building which is 40' x 28', 8' x 8' sauna and a sturdy bridge over Black Creek. Lots of wildlife, great for hunting. Contact Richard Mannisto at 906-440-3662 for more details. 10.1 acres of residential land for sale in Ridgewood Estates, Lot 12. Located in Hayes Township, Otsego County, MI 49735 in part of the south of Section 34. ID: 070-034-400-005-12. This property is heavily wooded, very private and at the end of a gravel dead end road on Ridgewood Ct. Electricity is available and it is priced at only $29,900. 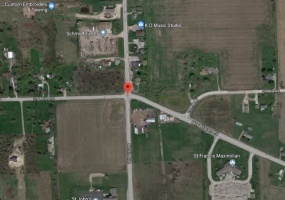 40 acres of prime land for sale located on Brown Road in Sheridan, MI (2 miles from M57 & M66 intersection). Property has a creek that runs through the middle with water flowing from the lake. It is about 80% wooded and there is wildlife including potential hunting for deer, turkey or enjoy fishing on the lake! It has a 1/4 mile of road frontage on Brown Rd.